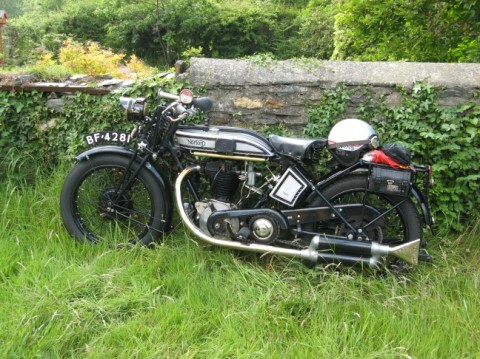 There are a number of really great motorcycle museums, totally devoted to the history and the "art" of motorcycles. If you were lucky enough to get to the Guggenheim "The Art of the Motorcycle" exhibit a few years back, you know what I mean when I use the word "art" in relationship to motorcycles. If you ride, and own a motorcycle (or two) no doubt you look upon your motorcycle as a beautiful object, especially when it's all clean and shiny, or perhaps even when it's all coated with mud and bugs. Either way, it's a work of art. Billed as the "largest and most amazing collection in America" is the Barber Vintage Motorcycle Museum, located in Birmingham, Alabama. I have only visited this museum "vicariously" though the man in my life, who was lucky enough to travel there a few years ago. When I asked him about it, he said that words could not express the "awesome-ness" of the collection in this museum. I guess that makes it a "must see." I have been to Wheels Through Time, an "all-American Transportation Museum, in lovely Maggie Valley, North Carolina, and I can personally say that Dale Wachsler has amassed an amazing collection of bikes and motorcycle paraphernalia. Of note, each and every motorcycle in his collection is operational - meaning each motorcycle will start and run. I was so overwhelmed with all of the motorcycles, that I needed to be reminded that the museum also contains other types of vehicles. Plan on spending at least a few days in Maggie Valley. The surrounding area has wonderful curvy and hill terrain. The Captain America chopper from Easy Rider is on display at the National Motorcycle Museum in Anamosa, Iowa. Interestingly, this museum is a non-profit, 501(c)(3) charitable organization, staffed by volunteers and run by a board of directors. It would be worth the trip for me just to see the Captain America bike, although I'm sure that I'd get all teary-eyed, thinking of the end of the movie. Another non-profit, volunteer-run organization is located in Colorado Springs, Colorado and includes a hall of fame devoted to interesting people who were involved with motorcycling. The Rocky Mountain Motorcycle Museum and the Hall of Fame. Although not formally labeled "museums", there are numerous motorcycle gathering places, resorts, and "hang outs" throughout the country, all of which should be visited if you are anywhere near. I have a few favorites, mainly because I've actually been to them. The first of which is Two Wheels Only, in Suches, Georgia. You can eat, shop and visit with other motorcyclists in a charming, yet completely biker-themed resort. I can't even begin to describe what an utterly cool place this is, so make it a point to visit the next time you travel south. If you're the type who plans ahead, you can even stay in one of the 4 rooms in the "lodge," or in the mobile home. If you are more spontaneously inclined, you can camp on the grounds. I can vouch for the breakfasts and the coffee, and the gift shop...Buy a sweatshirt! Probably the most fun motorcycle "gathering place" is located at the end of the 312 curves and 11 miles at Deal's Gap, in North Carolina and Tennessee. And Yes, I've ridden the "dragon"! If you have not yet been to Deal's Gap, it is an absolute must-see, must-go and must-ride road. I was so nervous about riding the "dragon" that I needed Imodium in the morning before we got there. But, I did it twice in the morning, and twice again in the afternoon. Way too much fun to ever describe with words. At the end of the road, or at the bottom, I guess you could say, is the actual "resort", complete with the "tree of shame". Go see for yourself, but be sure to take your sea-sickness meds before you head up, or down the road! If you know about a "motorcycle friendly" resort, campground or meeting place, please consider sharing it with the rest of us! Click here to submit your story. Read More About Deal's Gap and the "Dragon"
Another Smokey Mountain hide-a-way devoted to motorcyclists is the cleverly named Kickstand Lodge Motorcycle Riders Resort in Stecoah, North Carolina. Be careful when in North Carolina, we were once followed very closely by a local police officer, and kept to a very safe speed of 35 miles per hour, for about 45 minutes. You can wash your bike at the Kickstand, bring your dog if he or she travels on the bike with you, and even do your laundry while at this resort. The folks at the Kickstand also offer to keep your car and trailer if you are traveling to Bike Week in Daytona, and want to ride south from North Carolina. That's a mighty nice offer, if you ask me! If you are traveling to Bike Week in Sturgis, you might want to consider parking your wheels at the Glencoe Camp Resort, in Sturgis, South Dakota. As is the case with all things Sturgis, you'd better make your reservations well in advance. An online PDF is available for reserving space for bike week. 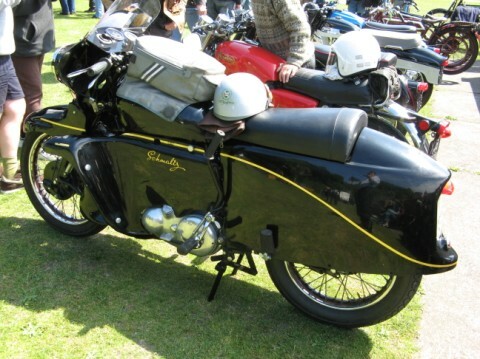 Another great opportunity to view classic and vintage motorcycles, and motorcycles of all types is an annual rally, like the BMW rally. 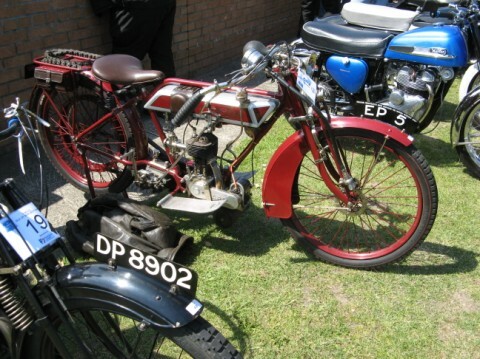 For a museum dedicated to motorcycles and motorcycle racing, check out the Manx Museum on the Isle of Man.